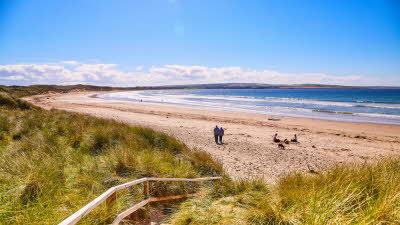 A good choice for those who enjoy solitary tranquillity, at Dunnet Bay Club Site you can admire the stunning views over clean washed sands to lovely Dunnet Head, the northernmost point of the British mainland. 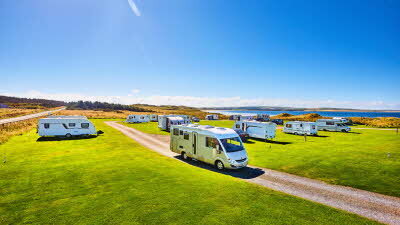 Located in Dunnet, Thurso, the caravan park is in an area of vast natural beauty - it's a perfect location to unwind from the bustle of day to day life. 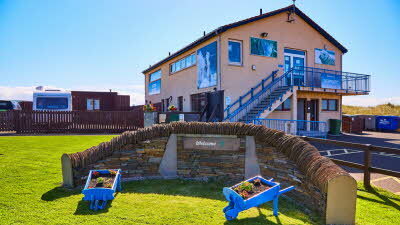 Dunnet Bay Club Site is ideal for walking expeditions and offers great nearby dog walking too. 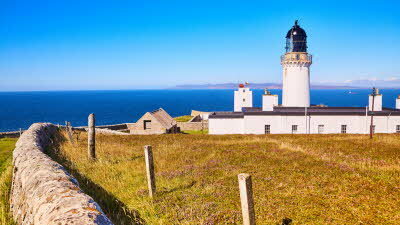 If you climb Dunnet Head you will be treated to magnificent views over the Pentland Firth to Orkney and a great part of the north coast to Ben Loyal and Ben Hope. To take in local restaurants as well as some retail therapy, a day trip over to Orkney from John O'Groats or Scrabster won't disappoint, in fact you can island-hop the string of islands by both boat and coach. If you're a keen birdwatcher, you can take a ferry trip around the Stacks of Duncansby to see a wealth of seabird life. Anglers are spoilt for choice with sea fishing by boat from Scrabster, fishing from the beach or freshwater fishing nearby. Sites of historic interest include the majestic Castle Mey and Mary Anne's Cottage, a museum detailing crofting life. The nearest National Cycle Network route to this site is route number 1, Inverness to Shetland, OS ref ND205680. Thurso to Dunnet Head is a relatively easy 10 mile route to get you started. 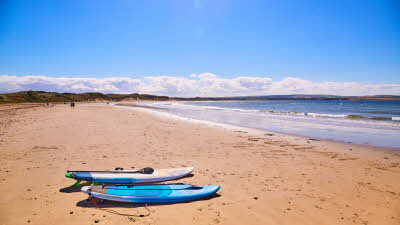 You can hire bikes from Dunnet Head Holidays Bike Hire. Walk for miles along the beautiful beach. Climb Dunnet Head - or drive to the summit, for magnificent views over the Pentland Firth to Orkney and a great part ofthe north coast as far as Ben Loyal and Ben Hope. Visit the Highland Council Seadrift Centre (above the site office), where the Ranger organises guided walks in Caithness and Sutherland. The nearest shops are in Castletown village, three miles towards Thurso. There are supermarkets in Thurso, 3 miles away. 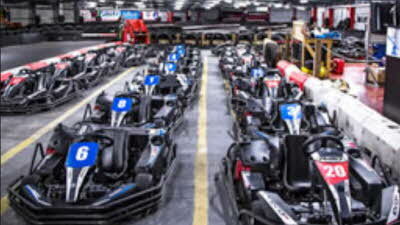 A Go-kart track like no other. Fast and good quality karting, 100% of profits go to charity. 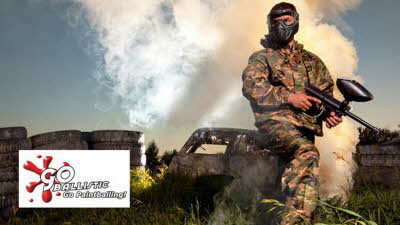 15% off all races, anytime, any day. From East (John O'Groats) on A836: the site is on the right about 0.5 mile past Dunnet village. 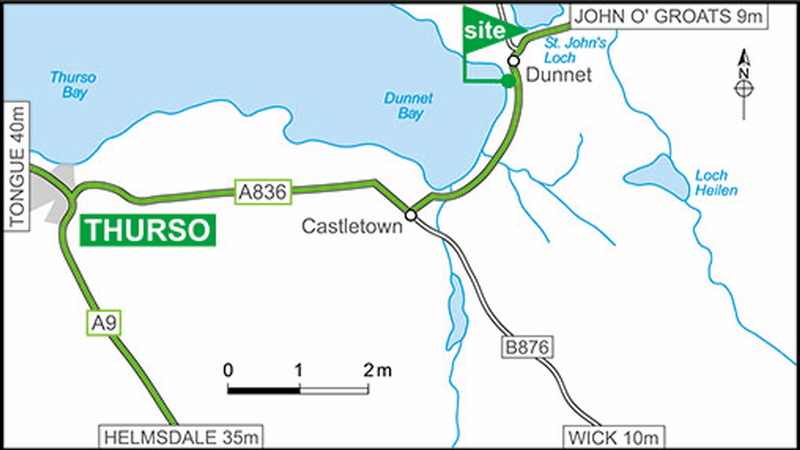 From West (Thurso) on A836: the site is on the left about 2.5 miles past Castletown village. This site has the most fantastic location. 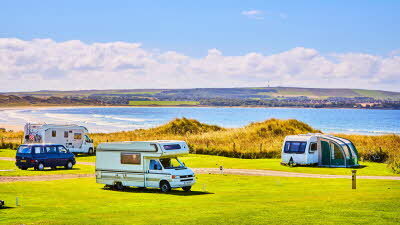 We parked our motorhome within yards of the extensive flat beach. Our two springer spaniels were able to run for miles everyday. For the entire week there was no need to put a lead on them as we parked right by the path to the beach so they ran straight from the motorhome down onto the sand without upsetting any fellow campers. Most days there were only a handful of other people on the beach other days no one else on the beach. The sea was very cold but it did not stop the dogs going in. Only thing to note is that on a few days we had lots of very large jelly fish washed up. We plan to go back next year. This time we will buy the local gin before we arrive not as we depart! If you are looking for lots of entertainment this is not the place for you. Ideal for children who are happy with the good old fashioned idea of playing on the beach. Bring a wet suit for the water. Jasper and Moriarti give it full maks. We were doing the 500 route around the Highlands of Scotland and originally decided to stay at this site for one night - we ended up staying for 3 as it is a superb site. 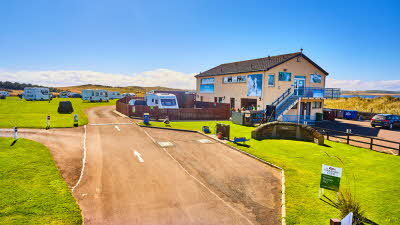 It has a sea view with only a couple of minutes walk to the beach, and what a beach! Miles of golden sand. The wardens were so friendly and couldn’t have been more helpful. They went out of their way to be of assistance with everything. The facilities were spotless and the whole site was fabulous and I would recommend it to anyone. We stayed at about 8 sites in our motorhome while touring the Highlands and this was definitely the best site of them all. Stayed at this site late September/early October 2018. 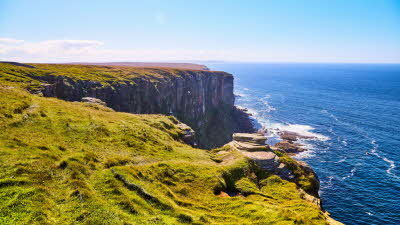 What an amazing place this is, the site looks out directly over Dunnet Bay and the moody ever changing sea. It was quite windy whilst we were there but that just added to the magic of the place. We visited the nearby Rock Rose gin distillery, wow what a success story. The tour was incredibly informative and the tastings great! Well worth a visit. Like many others we must mention the wardens Mel and Bev, they couldn’t do enough for us, Bev even made a point of coming to say goodbye on our last day. Thank you both! You certainly can't miss this site......superb location with a view from every pitch although the roadside ones can be a bit noisy. Wardens extremely helpful and friendly. Beach is amazing but if you have a dog please be aware of the jellyfish as advised by the wardens on arrival. If you want a fabulous meal just go to the Northern Sands hotel about 10 minutes up the road. Amazing quality at an amazing price. Castle of Mey is also well worth a visit, the guided tour is the only way to look round but the guide is very knowledgeable and it makes the visit quite personal. Enjoy the experience!